Speculative fiction is in a unique position in Australia in that women are fairly well-represented, at least in the fantasy genre. Slightly more books were published by female authors than male in 2011 (if you’re interested, I compiled some pie charts — one, two — in 2012). However, that doesn’t mean speculative fiction books by women garner a lot of reviews. 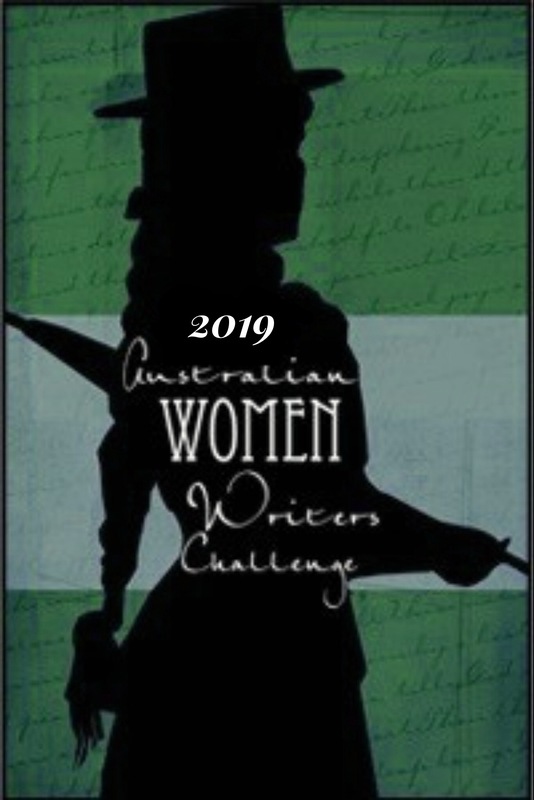 Enter the Australian Women Writers Challenge. A lot of excellent books were reviewed in the spec fic genre over the course of 2012. This post is not meant to be a comprehensive list. You can, however, find a list of all the spec fic books reviewed as part of the challenge, over at our companion site. I know I’ve added some books to my TBR (to be read pile) after browsing through other people’s reviews. Some of the most popular books in AWW2012 were released during the year or towards the end of 2011. Sea Hearts by Margo Lanagan, a story about selkies, was enjoyed by many, including some people who don’t usually read fantasy (review from Krissy Kneen, review from Mark Webb), as were a few older Margo Lanagan books. Bitter Greens by Kate Forsyth is a historical fantasy take on the story of Rapunzel and also transcended genre boundaries (review from Shaheen including an interview with the author, review from Angela @ Literary Minded). Tansy Rayner Roberts’ Reign of Beasts was released in 2012, completing the primal fantasy Creature Court trilogy and exploring gender roles in a thought-provoking way. It garnered some attention both for itself (review from Nalini Haynes) and the earlier books in the series (review of Power and Majesty from Stephanie Gunn, and of The Shattered City from Sean). Debris, début novel by Jo Anderton, came out in late 2011 and there has been much discussion as to whether it’s science fiction or fantasy (I’m firmly on the side of fantasy) due to its innovative magic system (review from Jason Nahrung, review from Dave Versace). A more conclusively science fictional book that generated much talk in the spec fic community and won both the Aurealis and Ditmar Awards and made the Tiptree Award Honour List is The Courier’s New Bicycle by Kim Westwood. A gender-bending story set in a dystopic future Melbourne it was reviewed (among others) by David Golding and Ju Transcendancing. Finally, Claire Corbette’s debut, When We Have Wings, about a near future in which people have angel-style wings surgically implanted on their backs, also gathered much attention and crossed genre boundaries (review from C. A.R. Torres V, review from Ann-Marie). A series of books that I feel bears mentioning is the Twelve Planets series of collections from Western Australian based Twelfth Planet Press. The idea behind the project is to publish twelve collections of four(-ish) stories each, from twelve Australian women writing speculative fiction. Seven have been released so far and they’re a great way of sampling work by new (to you) writers and have been popular as part of the Challenge. Out so far are: Nightsiders by Sue Isle (my review), Love and Romanpunk by Tansy Rayner Roberts (review from Jenny Schwarz), Thief of Lives by Lucy Sussex (review from Sean), Showtime by Narrelle M Harris (review from Bree), Bad Power by Deborah Biancotti (review from Narelle Harris), Through Splintered Walls by Kaaron Warren (review from Mark Webb) and Cracklescape by Margo Lanagan (review from Marg). There are a few more authors and books that I want to mention in a bit of a rapid-fire round. Meg Mundell’s Black Glass, presenting a chilling near-future Melbourne, garnered many reviews (one from Janine Rizzetti). As I said at the start, this is by no means a comprehensive list of female Australian speculative fiction books and authors. More than 260 spec fic reviews were submitted to us as part of the challenge; an excellent result and well done to everyone who participated. I hope many of you reading this will consider taking part in the 2013 challenge and reading some excellent speculative fiction while you’re at it. I’m Tsana Dolichva and I’ve been reading and enjoying Australian speculative fiction since I first started reading “grown up” books (back before YA was its own genre). More recently, I’ve been blogging my reviews over at the creatively titled Tsana’s Reads. I irregularly blog about science in science fiction over at the Science Fiction Writers’ Guide to Space. When not reading, I’m probably working towards my PhD in astrophysics. Great wrap up Tsana, there are as always a few titles i hope to read this year. Thanks, Shelleyrae. There’s a lot of great books there, including a few I haven’t had the chance to read yet myself that have been on my TBR for a while, partially thanks to other people’s great reviews. This is great sTsana…and thanks for linking to your charts…I always love to see charts…and it must have taken you ages to collate all that data. I am pondering making a resolution to read at least one speculative book for my AWW challenge this year but I haven’t quite decided as I suspect it will then haunt me. I’ve never been able to get my head around fantasy – not even as a kid really – but I did used to read a fair bit of sci fi in my teens and 20’s…and then I just stopped being able to get lost in it…almost overnight it happened and then all I could see were the flaws and the cliches and the things which made it impossible to suspend my disbelief – which is silly because those things were there before and my own genre of choice is equally full of them – but I can’t get my brain to do much about it. I will at least resolve to browse the reviews and see if something takes my fancy. Can I suggest The Price of Fame by RC Daniells? It’s about a present-day documentary maker researching her first doco about an 80s band whose lead singer died in mysterious circumstances. Split half between the 80s and half now, the fantasy element is really minor. I would also recommend When We Have Wings by Claire Corbette which I mentioned above. One of the main characters is a detective and, while I wouldn’t call it a crime novel by any stretch of the imagination, it might appeal to you more? It’s also well-researched with plausible physics (an aspect I’m always fond of in books). Thanks Tsana (sorry about that extra s in the earlier comment – blame the iPad keyboard). I have noted down your recommendations and added them to my library list. You have reminded me I have a Jo Spurrier to read. Great summary. Great wrap up Tsana – astrophysics and speculative fiction seem a good match to me! I really appreciate the way this challenge has showed me a breadth of Australian women’s writing I knew very little about. Thanks! 🙂 I do find my work makes me more critical of (im-)plausible science in my spec fic. And the challenge has definitely exposed me to more Aussie authors, particularly in other genres. LOL, love that … re your work AND being exposed to more Aussie authors.